This value pack comes with 4 of our pre-diluted Roll-Ons, that are made with 100% Pure Essential Oils and Coconut Oil. This set includes: Lavender, Patchouli, Peppermint and Tea Tree. Instructions: For best results shake well before use; apply to the back of the neck, temples, forehead and reflex areas on the hands and feet. For external use only. Warning: Our essential oils are highly concentrated and should be used with care. Keep out of reach of children and pets. Avoid contact with eyes. If pregnant consult a doctor. Our Winter 2016 Top 5 selling women's fragrances in one package! If you like these designer fragrances, you'll LOVE our impressions! We have perfected our formula to ensure every bottle we sell smells just as great as the designer counterpart. Many leading designer fragrances are made up of as much as 80% alcohol, which quickly evaporates, taking the scent with it. Our fragrances are 100% oil, leaving you smelling great all day long. No need for mid-day touch-ups! In fact, 1 bottle will last you up to 4X longer overall. That's 4X the value, at a fraction of the price. You WILL notice the difference - guaranteed, or your money back. Note: Quality Fragrance Oils competes with the designer brands. It does not use their fragrances and is not associated in any way with the designer brands or their manufacturers. All trademarks are property of their respective owners. 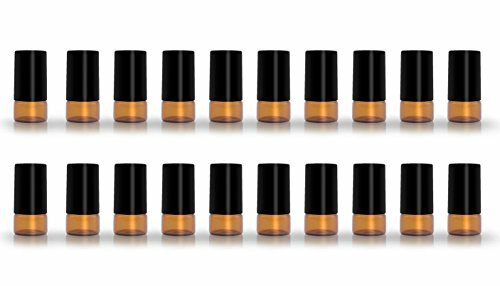 Amber Glass Roller Bottles Protects Against Harmful UV Rayssecure, economical, convenient and refillableREFILLABLE FOR LONGTERM USE: Easy to refill and reuse, the long term value of these bottles is significant. Greatly reduces the waste when compared to disposable store-bought bottles. Their unobtrusive size allows them to fit comfortably in your pocket, purse, handbag, backpack, or luggage.If you have any questions, please contact with us, we will service for you. Dark Glass Roller Bottles Protects Against Harmful UV Rayssecure, economical, convenient and refillable. 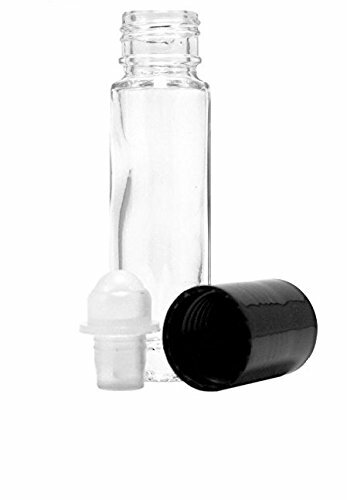 REFILLABLE FOR LONGTERM USE: Easy to refill and reuse, the long term value of these bottles is significant. 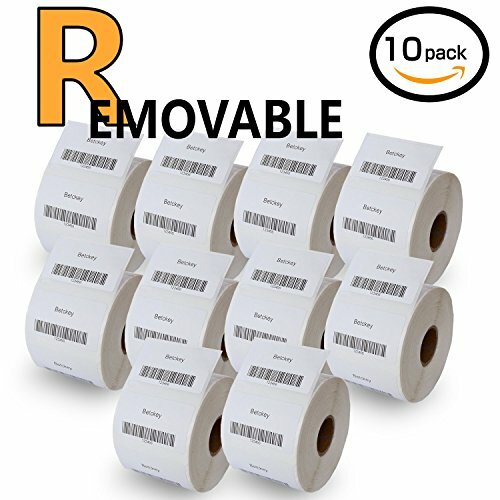 Greatly reduces the waste when compared to disposable store-bought bottles. Their unobtrusive size allows them to fit comfortably in your pocket, purse, handbag, backpack, or luggage. If you have any questions, please contact with us, we will service for you. 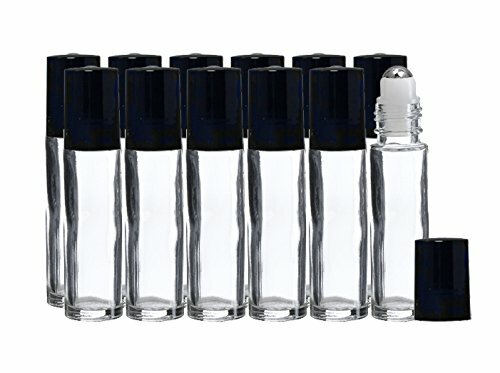 12 Unit Set of High Quality Roller Bottles. 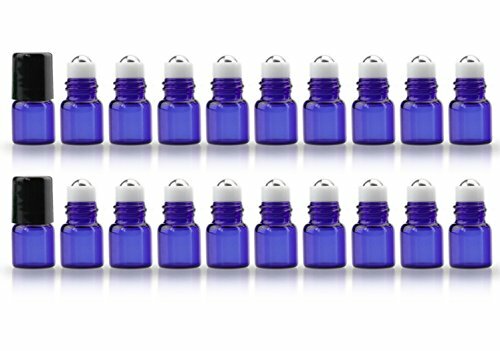 5ml to 7ml (Max Capacity) Clear Glass Roll On Bottle(s) with Metal Balls for Aromatherapy Essential Oils and Pure Perfumes. 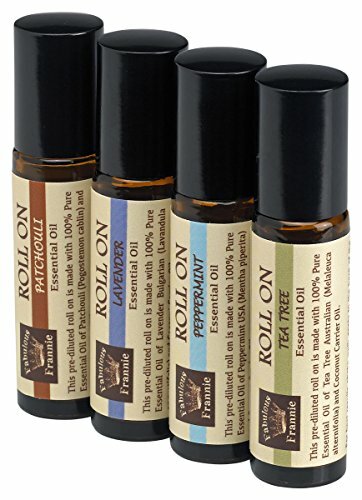 Use the Roller bottle for our premium Grade-A Oils. The small Rollerbotlles are of top quality and made to last. Practical Size and small enough to easily fit in your pocket and purse; great for travel. FeatureThis stylish double toilet paper holder is a great replacement for the traditional one, no more spring loaded insert to fight with.All the edges were deburred which make it smooth, cleans lines with elegant brushed nickel finish adds a classy look on the wall.Including mounting hardware for an easy installation, decorative screw caps for hiding screws, nicely matches your bathroom fixtures.SpecificationFinish: brushed nickelMaterial: SUS304 stainless steelInstallation Type: wall mountNet Weight: 1.98 lb. 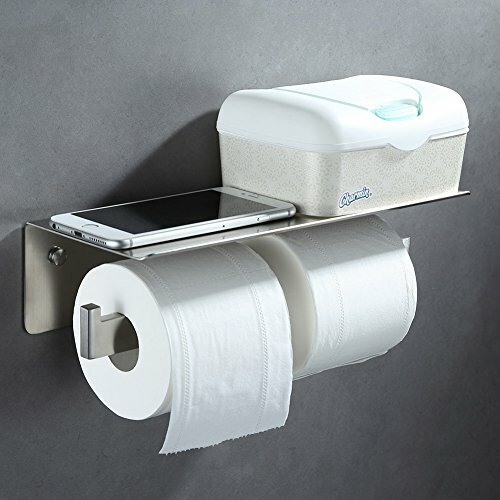 (0.9kg)Dimensions (Width x Depth x Height): 12"W x 4-5/8"D x 3-1/32"H (304 x 118 x 77mm)Suitable Toilet Paper Rolls: fits regular / double / large / mega TP rolls, won't fit the extra large / oversized rollsPackage IncludedToilet paper holder x 1Mounting hardwareSuitable forRVCondoMotorhomesBasementRestroomLavatoryTravel trailerPowder roomBathroom remodelOutdoor showerCommercial officeUpscale hotelAny other spaceNote1. There may be a little color aberration due to different monitors and light influence.2. There may be a little dimensional deviation due to manual measurement, please kindly check the product dimension before buying. Pamper yourself and your clients by making full use of these beautiful and highly useful, glass roll-on refillable bottles. They are perfect for filling with your favorite perfume or essential oils and keeping for personal use in your purse to prevent having to take a large and delicate bottle of perfume out with you. Additionally, think commercially and encourage sales of your aromatherapy blends and personal scents by handing these adorable clear glass bottles out as samples to clients in your massage, beauty or hair salon or aromatherapy and alternative medicine practice. Enjoy the benefits of a more controlled application with a glass roller which is particularly cooling and soothing when used with essential oils. To fill the bottles simply remove the roller ball lid, add a few drops of your chosen essential oils using the provided dropper and mix with a desired carrier oil. Select almond oil, sandalwood, myrrh or frankincense for a variety of beneficial effects and benefits. Try a relaxing coconut and lavender blend to help you wind down before bed, or stay on point with a mental clarity blend using rosemary, lemon and cypress. It couldn’t be easier to create your own blends! 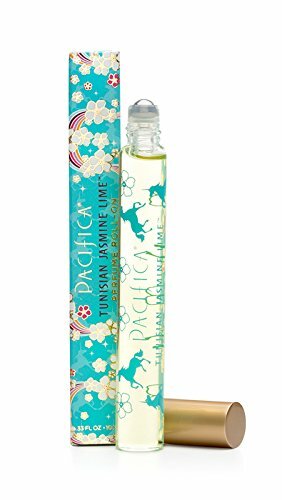 Pacifica Perfume Roll-ons are really a steal. As always, we look for ways to bring our customers value without skimping on quality. These contain our best-selling fragrances in natural grain alcohol. And, they are free of phthalates, nitro-musks, benzene, and other things you don't want. Limes, jasmine and lush orange flowers bloom in this fresh, bright, magical scent that is wearable all year. An intoxicating aura for the most fearless and adventurous free spirits. 100% vegan and cruelty-free. 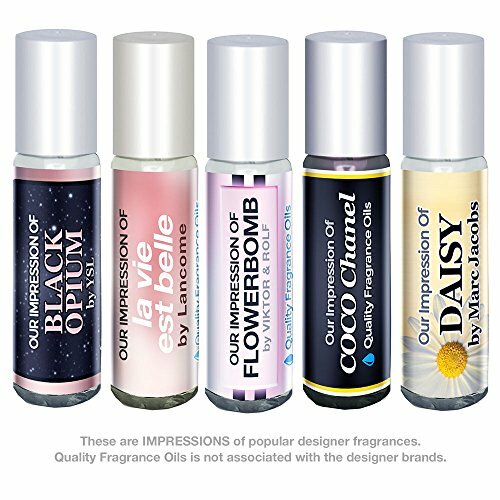 Compare prices on Perfume Rolls at ShoppinGent.com – use promo codes and coupons for best offers and deals. Start smart buying with ShoppinGent.com right now and choose your golden price on every purchase.